Posted by Kim Ciuffreda on Wednesday, July 20th, 2016 at 1:44pm. When it comes to curb appeal, sometimes all it takes is some new paint and a little creativity. You would be surprised at what a difference even inexpensive changes can make to the curb appeal of your home. This monogram planter is a great way to spruce up your porch. The design creates mini planter rows for the soil and plants, so you can replant as often as you want. It looks great with flowers, or a fun herb garden! Outside air conditioners are essential for your indoor comfort, but they can be an eyesore. This is a great way to hide that eyesore. 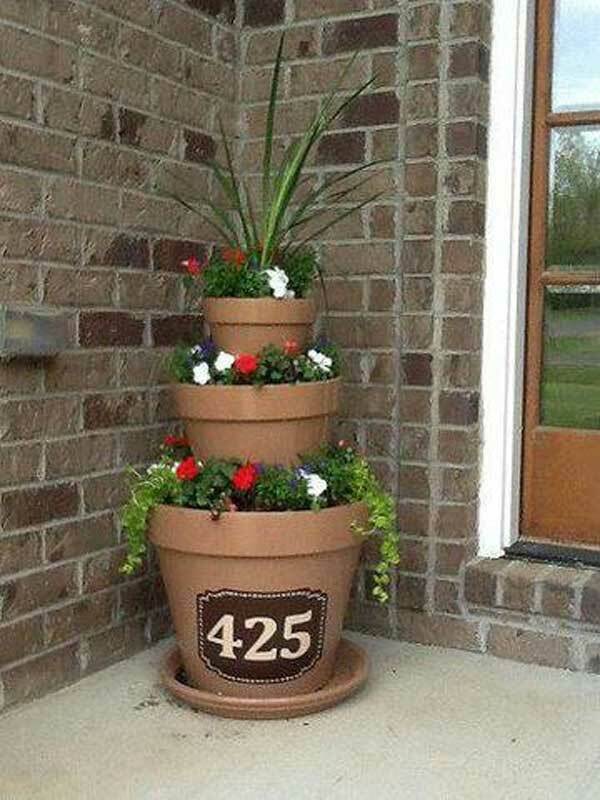 Adding your house number to a potted plant is a great way to add curb appeal to your home.